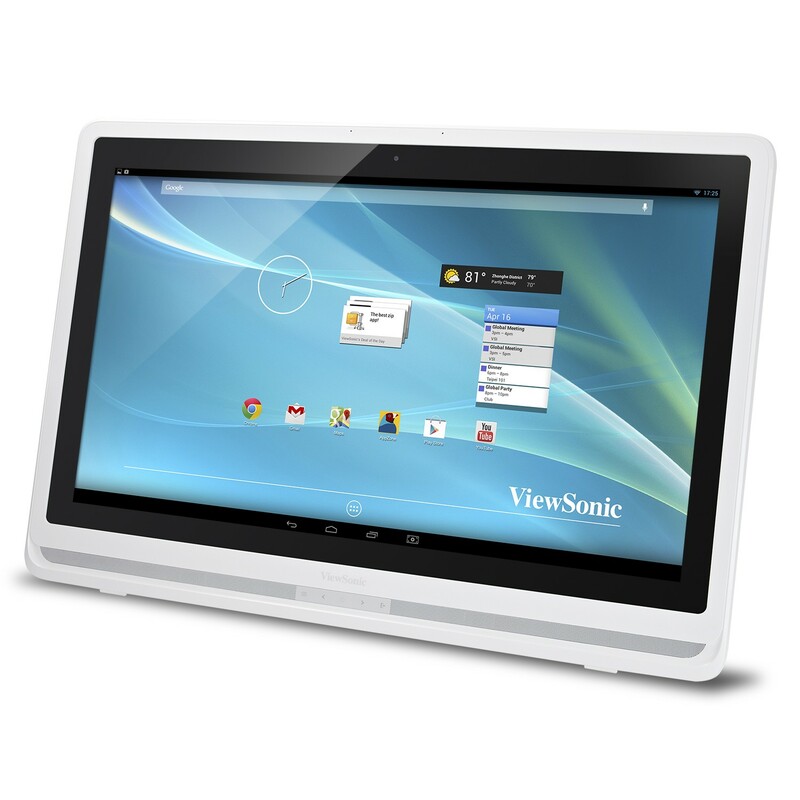 A quick look at Viewsonic’s All-in-one Android monitor, the VSD241 Smartscreen. This 24″ touch screen Android machine houses a NVIDIA Tegra 3 Quad-Core 1.7GHz,1GB of DDR3 RAM, a criminal 8GB storage with 4GB available under it’s Wide Color TFT Transmissive LED at a resolution of 1920×1080. There is a built-in SD card port and 4 USB (2 full size, 1 mini & 1 micro) ports for connectivity.